Every week after tennis a selection of us go out for dinner, usually to a pub in North Sydney. However, being the last session of the year we decided to have a change and go out for dinner in Cammeray. 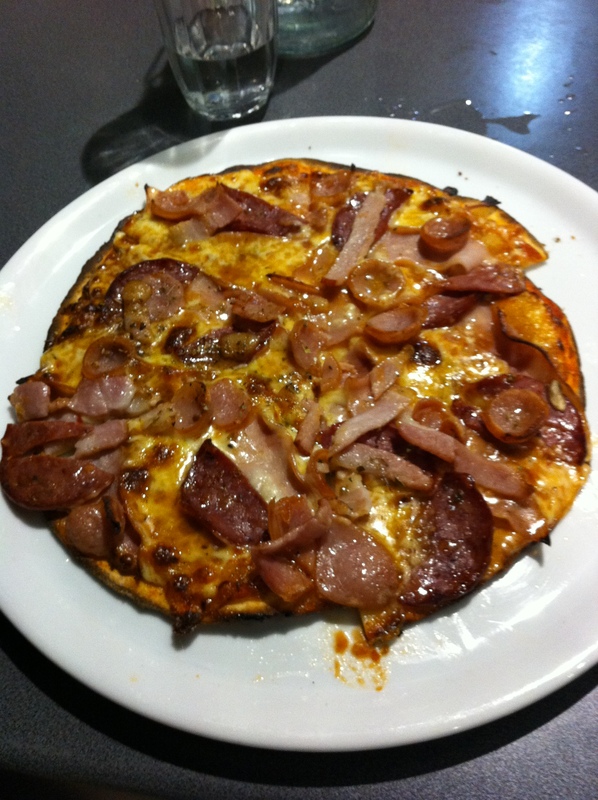 In order to cater for dietary and craving requirements we decided on Pizza Olla in Cammeray. I had been there before and ordered one of the chicken pizza’s however this night I was craving a BBQ Meat Lovers. The gluten free pizza comes in the regular size only and costs $2 extra than the glutenous ones. Much to my delight the BBQ sauce they use is gluten free which meant I could have the BBQ Meat Lovers. The pizza was tasty and hit the spot! This particular night was very busy and therefore took awhile (we did have 8 people), however everyone enjoyed their meals.